To further cement this issue, Hoffman added that he’d never met Nolan (”Maybe I did or met him in passing?”), and that his interest in comic book movies is purely on a fan level, and he intended to keep it that way. Although I wanted the rumours to be true, particularly Hoffman playing the respective part, I never really believed them. It’s far too soon for there to be casting, especially of roles as big as these. Christopher Nolan isn’t even signed on to direct another one so do you really think Warner Bros. are going to go behind the creative force and say, “These characters are going to be in it, and these are the guys who are playing them.”? I don’t think so. Consider the rumour that Hoffman is playing The Penguin absolutely false (at least for now, no one knows what may happen in the future) and I’m sure the Johnny Depp as The Riddler one will soon follow. “Universal Pictures is in negotiations to have Terry George write the screenplay and Spike Lee to direct the sequel, according to The Hollywood Reporter. Russel Gewirtz wrote the original. Inside Man 2 is the working title. Inside Man was Lee’s biggest box office weekend opener, focusing on the relationship that emerges at a New York bank between a bank robber (Clive Owen) and a hostage negotiator (Denzel Washington). Lee says he imagines a continued relationship between the two main characters, only in a new high-tension situation. Both Washington and Owen have expressed interest in appearing in the sequel. I absolutely loved Inside Man. I thought it was one of the smartest, most entertaining and most on-the-ball films of it’s type in years. A lot of people were let down by the ending because it wasn’t a big hoorah of one but personally I thought it was in tune with the feel of the rest of the movie – remember things don’t always go as you’d expect, sometimes it’s not always as exciting as most movies tell you. But to me I can’t really see the point in doing a sequel to it other than to explore the characters a bit more. To me it’s great as it’s own film and I don’t feel the need to extend the story any; it’s fine the way it is. 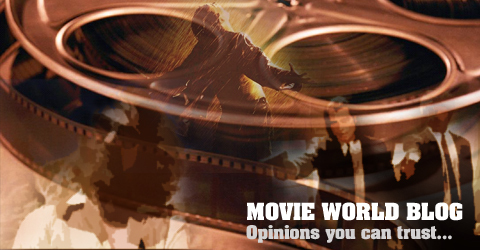 What are your thoughts on the idea of an Inside Man 2? “During the Comic Con panel for Fringe, someone asked J.J. Abrams if there were any updates on a Cloverfield sequel. Abrams response started off very much in the same way that it did when he was asked about it before, but then he let slip a piece of information that is sure to spark conjecture amongst fans. I thought Cloverfield was a great experiment in mainstream Hollywood cinema. They employed some bold techniques, not least of which was the hand-held camera technique, but in my opinion they paid off and it was a very invigorating time at the movies. However I don’t at all feel there should be a sequel; I think it worked as a one-off type project and to me any addition to it would kind of cheapen the first one. However if there has to be one it’s good they are taking some time to think about it and not just hashing one out for the sake of making quick cash. What do you think about what Abrams said? Like the idea of a sequel and if so do you like the idea that it’s not a traditional one? It must be at least 18 months since the hype machine was started up for The Dark Knight. It may not have appeared on the average movie goer’s radar until a couple of months before the movie was actually released but for people who spend half their life on the Internet this was followed meticulously from photograph to photograph, new trailer to new trailer, and it got to a point where it seemed no matter how good the movie was, it wouldn’t live up to the hype and expectations. Well, I’m here to tell you, like so many others before me, that The Dark Knightlives up to all of that, delivering the quality that everyone wanted and a plethora of unexpected aspects thrown in for good measure. This is expansive yet meticulous filmmaking; an epic, all-enveloping crime tale hidden under the disguise of a comic book movie. Carrying directly on from Batman Begins, The Dark Knight sees Batman and Lieutenant Gordon join forces with newly appointed DA Harvey Dent to take on a psychopathic criminal known as The Joker. Simultaneously they have to combat other forces, such as the mob, which are still persisting as the core problem within Gotham City, whilst The Joker’s crimes grow more and more deadly. With Batman Begins, director Christopher Nolan took a pretty much dead franchise and breathed fresh life into it. He managed to make people forgive the movie making industry for the atrocity that was Batman & Robin and we were free to have faith in the character and all it has to offer once again. It was gritty, realistic, and showed the true, dark nature of the character with none of the colourful candy layered on top that some of the previous films had. However, Nolan and company have done what I didn’t think was possible — they have surpassed the quality set by the predecessor and made not only the best comic book movie ever made, but a film that transcends the genre and could more accurately be described as an epic, expansive crime story that just happens to have a comic book character in it. Now I don’t know whether this is a dream sequence (actually I think it would have to be) or what but it looks frickin’ cool in that weird kind of way. 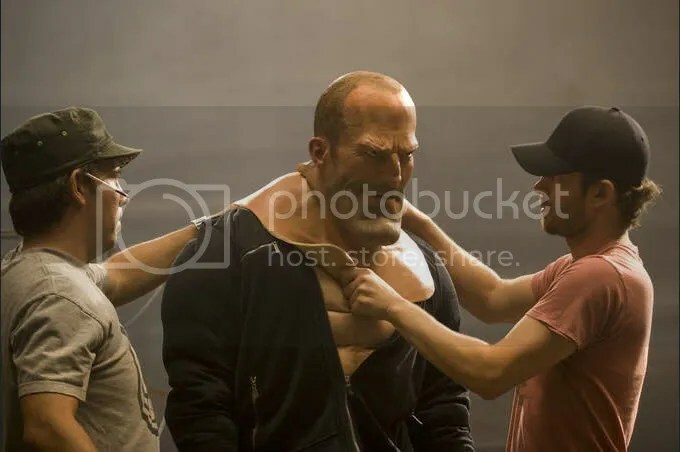 I still can’t rap my head around how they continue the story of Statham’s character after the way they left us hanging at the end of the first Crank but I’m sure with some of stuff we saw in that film the makers have came up with some crazy stuff in this one too. Crank 2: High Voltage is set to be released in the US on April 17th 2009.